Empress of Canada - meherbabatravels jimdo page! 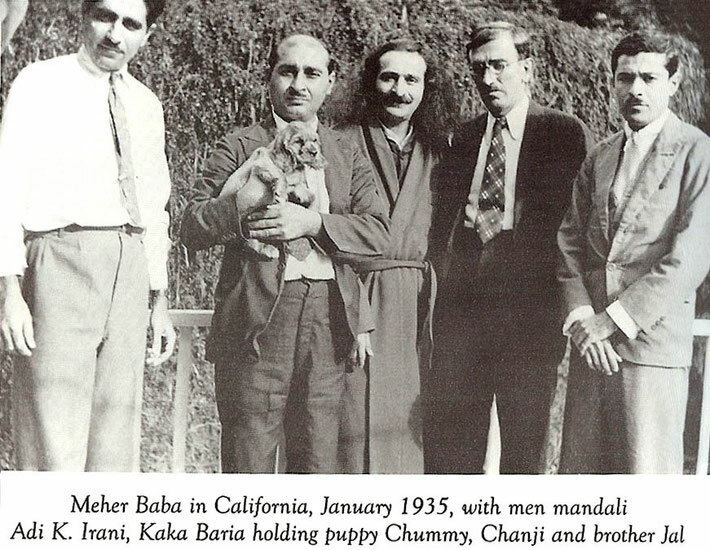 Continuing on Meher Baba's 8th trip to the West, he and his men mandali departed from Vancouver, Canada at 10AM on the 12th January 1935 on this ship. 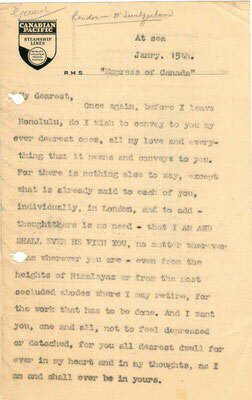 They arrived in Honolulu on the 17th, 5 days later. They arrived in Shanghai on the 31st January. Rustom K Irani met Baba in Shanghai and was sent to Hollywood and New York on film work. Baba continued his journey, arriving in Hong Kong on the 2nd February. He then went to Kowloon. 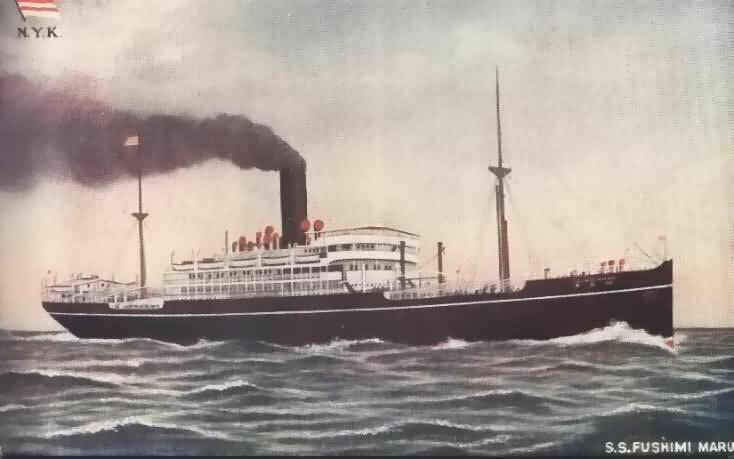 On the 3rd February they boarded another ship ; SS FUSHIMI MARU, for India. 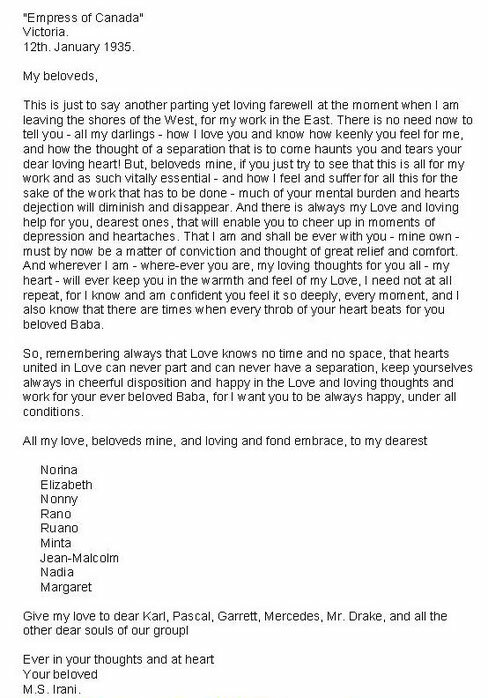 During the voyage, Baba was feeling very uneasy and his physical health began to fail, and each day he continually stressed the urgency of arriving in India at the earliest possible date. 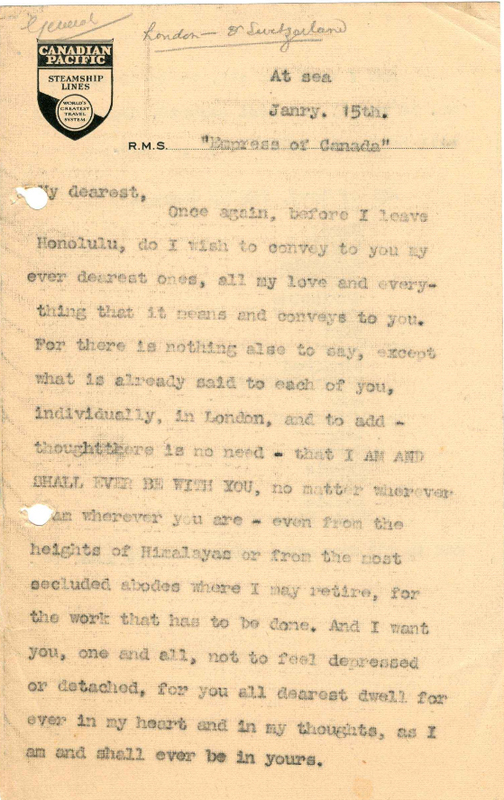 He repeated this again and again as he asked the mandali to check into the various air routes between Hong Kong and India, or any land route that might possibly be quicker. Despite assurances from the mandali that the fastest way to travel was by ship, Baba persisted day after day and repeated that he must reach India as soon as possible. The winter of 1935 was the coldest it had been in thirty-six years and Baba was prevented by the severe temperatures from taking his customary walks on deck. For the first few days aboard, Baba went to the gymnasium to ride an electric horse and exercise on a stationary bicycle. His health, though, continued to suffer. He developed pyorrhea and bleeding gums that prevented him from eating or sleeping much. He had to rise every few minutes during the night to spit out the blood and saliva collecting in his mouth. With little to eat, only soup, soft bread and spinach, and hardly any sleep, Baba was obviously becoming weaker and weaker. 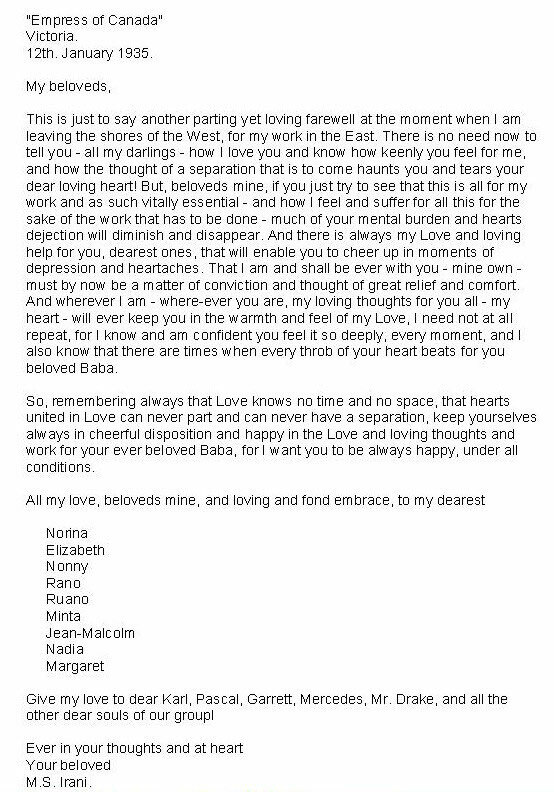 Baba had also had persistent chest pains and heart cramps ever since arriving in London over a month ago. During the voyage, he explained to the men mandali, "My condition might develop into paralysis and this is the reason why I want to reach India as soon as possible." Baba arrived in Hong Kong on February 2nd 1935. Two Parsis, Rustom E. Desai and Mr. S. Pestonji, were there to welcome him. They took Baba and the mandali to their homes in Kowloon where Baba had breakfast. After meeting the families of both men, Baba boarded the Fushimi Maru, which left the next day. 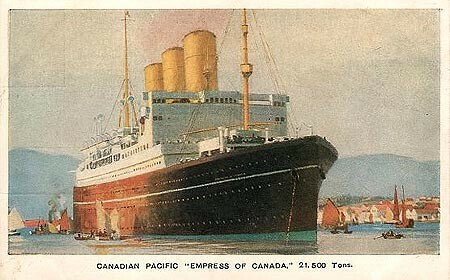 For other ships of the same name, see Empress of Canada. RMS Empress of Canada was an ocean liner built in 1920 for the Canadian Pacific Steamships (CP) by Fairfield Shipbuilding & Engineering Company at Govan on the Clyde in Scotland. 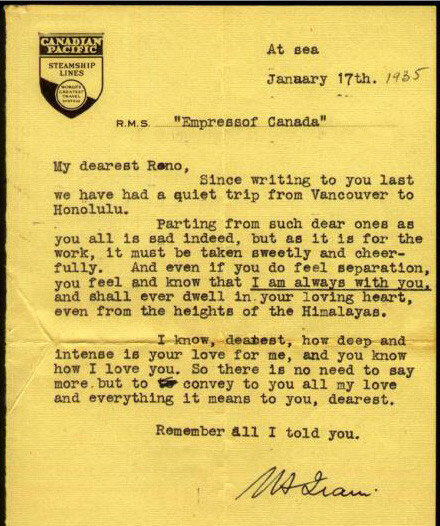 This ship -- the first of two CP vessels to be named Empress of Canada -- regularly traversed the trans-Pacific route between the west coast of Canada and the Far East until 1939. This Empress was distinguished by the Royal Mail Ship (RMS) prefix in front of her name while in commercial service with Canadian Pacific. In 1920, Canadian Pacific Steamships ordered a new ship to be built by Fairfield Shipbuilding & Engineering Company at Govan near Glasgow in Scotland. This Empress was a 21,517 ton, 653 foot ocean liner. She undertook her maiden voyage on 5 May 1922. 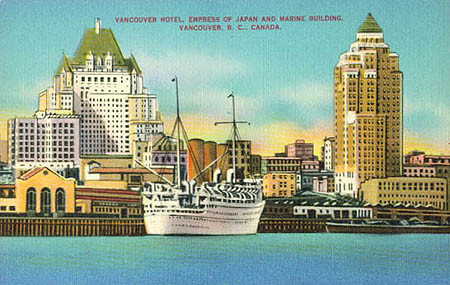 Based at the port of Vancouver, British Columbia, the first Empress of Canada was intended to provided service to Japan, Hong Kong, and China. Her sister ships included Empress of France and Empress of Britain. On 34 September 1923, the Empress of Canada arrived at Tokyo harbor -- just three days after the devastating Great Kantō Earthquake struck the city. She found that the Empress of Australia had been converted to a command post from which the British consul was directing relief work; and the Empress of Canada transported refugees to Kobe -- 587 Europeans, 31 Japanese, and 362 Chinese. 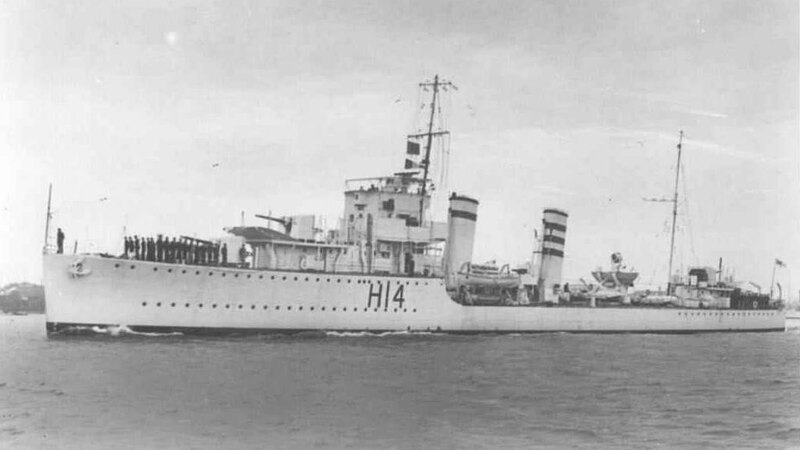 Following the outbreak of World War II in 1939, she was converted for use as a troopship. She carried ANZAC troops from New Zealand and from Australia to the war zones in Europe. SS Empress of Australia's ballroom was cleared for sleeping as ANZAC troops are transported from the Antipodes to the war zones in the Northern Hemisphere. 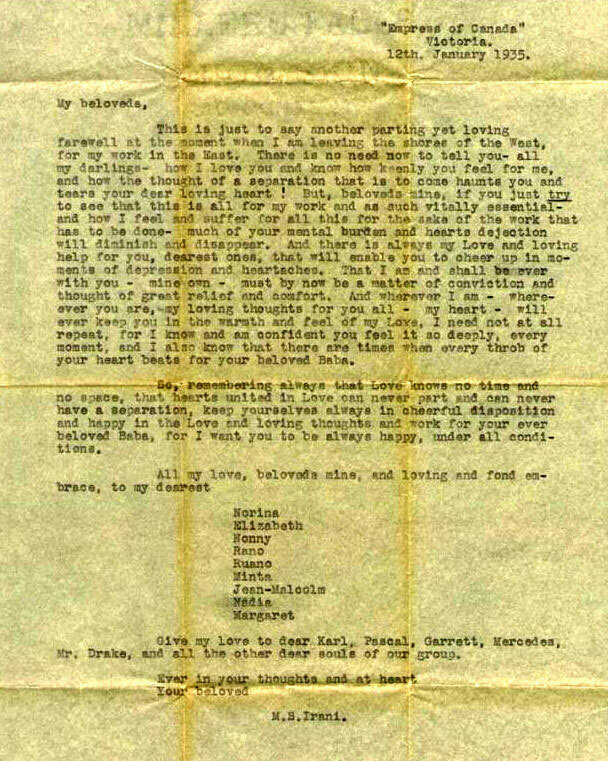 This specific image was captured at sea in January 1940 near Fremantle, Western Australia. The return voyage from Europe was not less dangerous than the trip north had been. 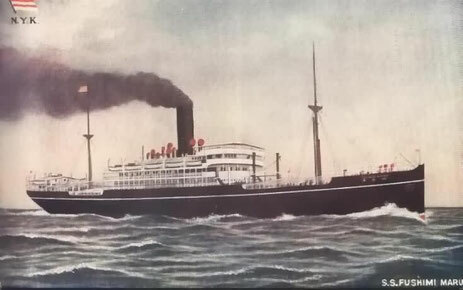 On 13 March 1943, while en route from Durban, South Africa to Takoradi carrying Italian prisoners of war along with Polish and Greek refugees, the SS Empress of Canada was torpedoed and sunk by the Italian submarine Leonardo Da Vinci (01-13S 09-57W) approximately 400 miles (640 km) south of Cape Palmas off the coast of Africa. Of the approximate 1800 people on board, 392 died. Nearly half of the fatalities reported were Italian prisoners. ^ The second SS Empress of Canada (1961) was built for CP. ^ "All Ships Aiding Relief," New York Times. 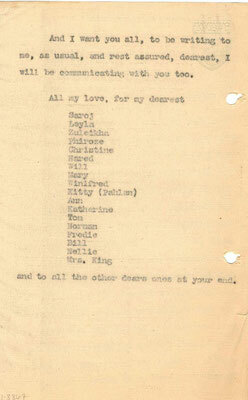 9 September 1923. Leonardo da Vinci was a Marconi-class submarine of the Italian navy during World War II. The unit operated in the Atlantic from September 1940 until its loss in May 1943, and became the top scoring Italian submarine of the war. Leonardo da Vinci was built at the CRDA shipyard in Monfalcone, near Trieste, Italy’s leading submarine builder. One of six boats of the Marconi-class, which were laid down in 1938-39, Leonardo da Vinci was launched in September 1939. Designed as an ocean-going vessel, she was intended for operations both in the Mediterranean and in the Atlantic. With Italy’s entry into World War II in June 1940 Leonardo da Vinci was dispatched to the Atlantic to Bordeaux in occupied France to serve in the Italian submarine flotilla there, BETASOM. 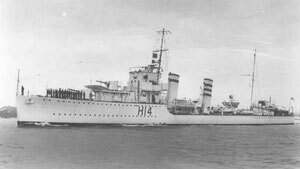 She arrived October 1940 after a successful transit of the Straits of Gibraltar, scene of a number of Axis submarine losses. Leonardo da Vinci carried out 11 war patrols, sinking 13 ships of 90,415 GRT . This included the 21,500 ton liner Empress of Canada. Including a further 4 ships of 29,828 tons sunk in the Mediterranean, Leonardo da Vinci was Italy’s most successful submarine in World War II, and her captain, Lt. Gianfranco Gazzana-Priaroggia, Italy’s leading submarine ace. With a higher score than Britain’s Wanklyn, in HMS Upholder, or America’s O’Kane in USS Tang, Prioroggia and Leonardo da Vinci were the most successful non-German submariner and submarine in the conflict. In July 1942 Leonardo da Vinci was assigned to a special operation aimed at mounting raids on harbours on the eastern seaboard of the United States. To this end she was converted to carry a CA class midget submarine, and during the autumn engaged in trials with the new weapon. However, the operation was delayed due to the need for modifications to the CA craft and Leonardo da Vinci returned to action to the Atlantic. On 19 March 1943 Leonardo da Vinci torpedoed the 7,628 ton British cargo ship SS Lulworth Hill in the South Atlantic. Survivors took to the lifeboats, but the submarine surfaced and machine-gunned them. The Leonardo da Vinci captured one survivor. 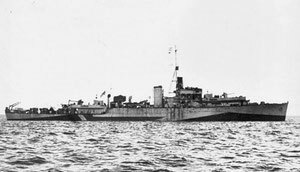 On 23 May 1943, while returning from patrol, Leonardo da Vinci was intercepted by the destroyer HMS Active, 300 miles west of Vigo. Working in concert with the frigate HMS Ness, Active subjected the submarine to an intense depth-charge attack, and Leonardo da Vinci was destroyed. There were no survivors.